Most baby boomers who came into personal growth and development during the Transformational Movement in the mid 1970s began waking up with Werner Erhart, now known as the father of the Transformational Movement. Since then, spiritual seekers, alternative healers, mediators, new agers and growth cravers have tasted, touched, danced, wailed, blissed out, lit up, sat on cushions, tuned in, turned on, felt "let down", high, awakened, and perhaps even moderately addicted to a myriad of transformational methods, workshops, & spiritual retreats of all types. 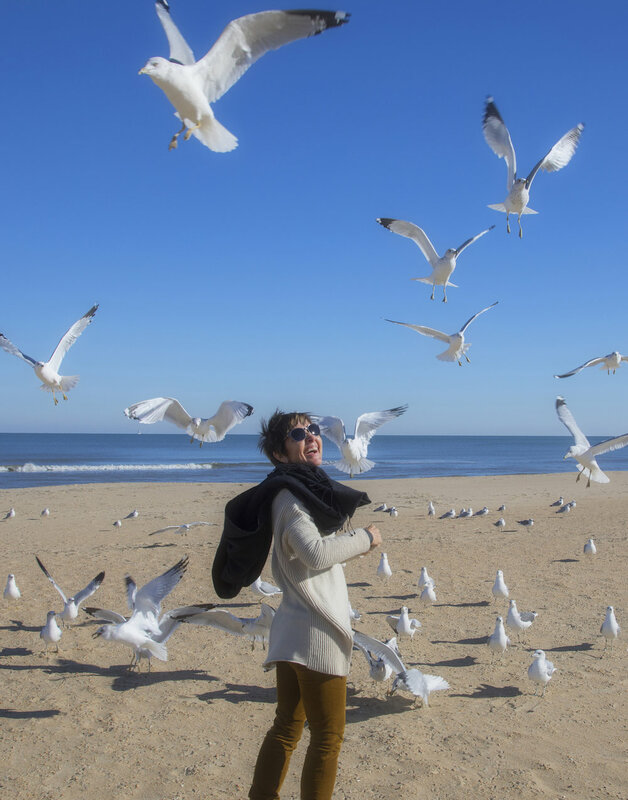 Right NOW, another transformational waking up wave is taking flight that isn't lead by a person, but rather by a very natural, yet dreaded, phase of life called "Death”. As the boomer generation comes closer to this inherently vulnerable, chaotic, and potentially healing time of life, leaders are appearing to support them in facing deep fear, resistance, and denial and to move them towards a desire to awaken before death arrives. Thought leader and founder of The Conscious Dying Institute, Tarron Estes, leads this Death Positive Movement. 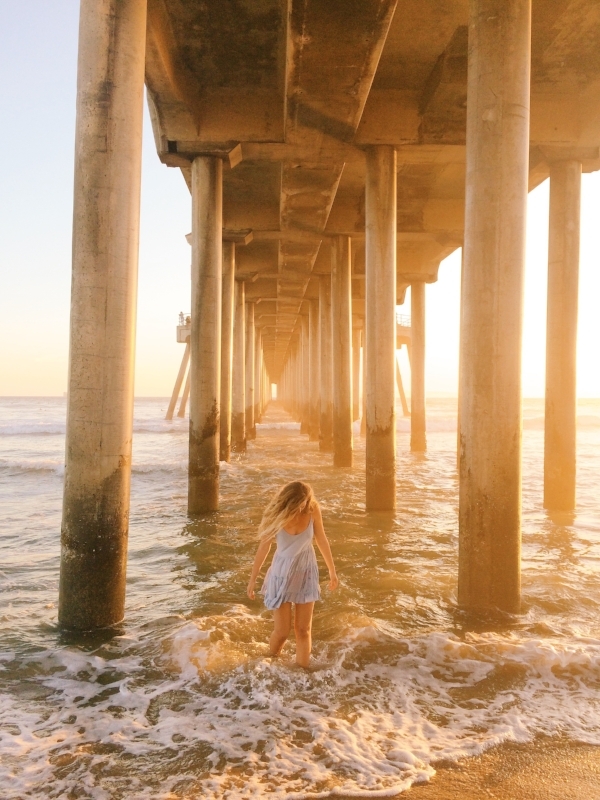 This movement has the potential to be another awakening opportunity for spiritual seekers, alternatives, boomers, and green purveyors of everything. This alternative demographic will want more out of death than our parents had. They will claim a more natural, caring, and healing way of being with dying as parents’ and friend's frailty and imminent dying are upon them. Unlike other growth movements, the Death Positive Movement is about more than personal awakening; it gives us a path of service and connection with an entire community of elders and people needing support as they are passing. Occupying death is a heroic journey we take to intentionally engage with our unconditional biological ending into a spiritually rich and powerfully transformative continuation of life towards the evolution of not only our own consciousness, but of our loved one’s, our community's, our nation's, as well as all of humanity's. 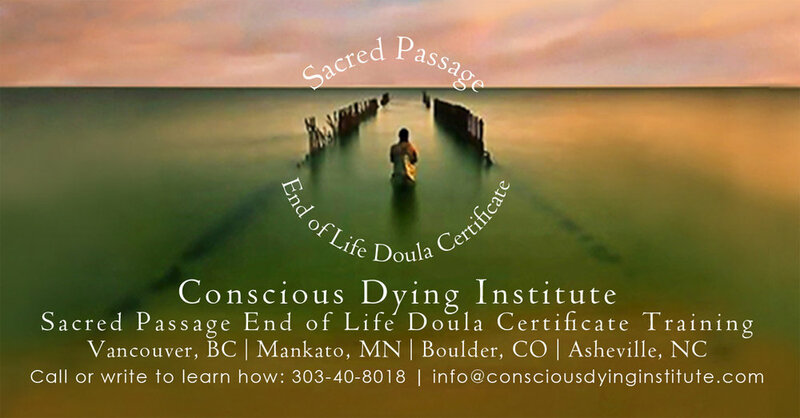 Join Francesca in the upcoming Boulder End of Life Doula Training Beginning August 24th!